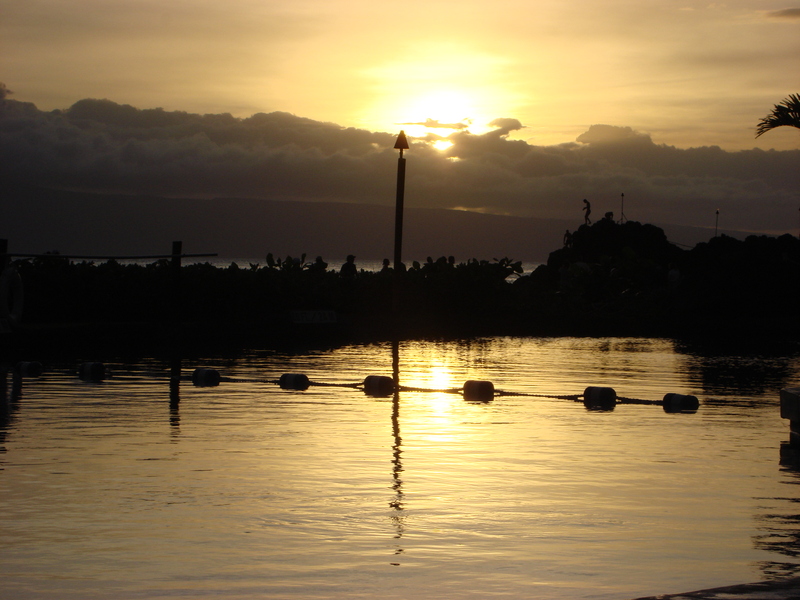 This resort is perfect for those looking for a relaxing, wheelchair accessible holiday on Ka’anapali Beach in Maui. 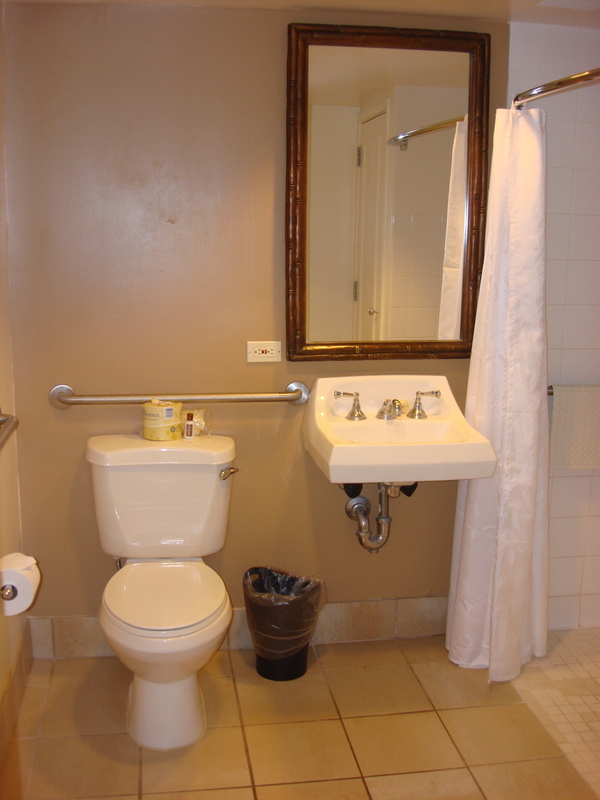 This resort has everything a wheelchair user could ask for! The grounds at this resort are completely wheelchair accessible, with nice, concrete paths throughout the resort for wheeling on. 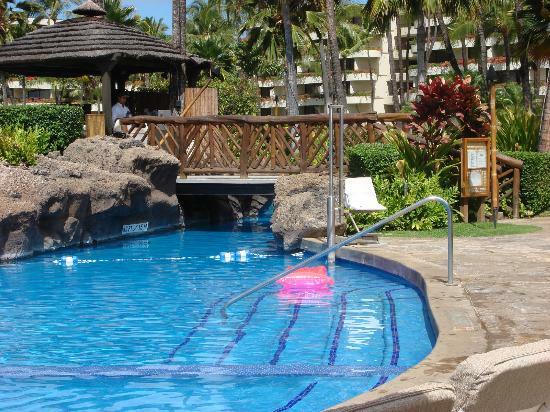 There are two pools at this resort and the bigger pool is equipped with a wheelchair lift that works great! It is really easy to work the lift – even without any assistance. You just transfer on and rotate the lever and it slowly lowers you around into the pool. Getting back out is done the same way in reverse. It has a very smooth motion and is in a slightly secluded location, so you don’t feel like everyone at the pool is staring at you while you transfer on and off. The pool has a bunch of giant bean bags that you can sit on and float around on. There is a lazy river design to the pool and we found it very relaxing floating around on the big bean bags soaking up the sun. 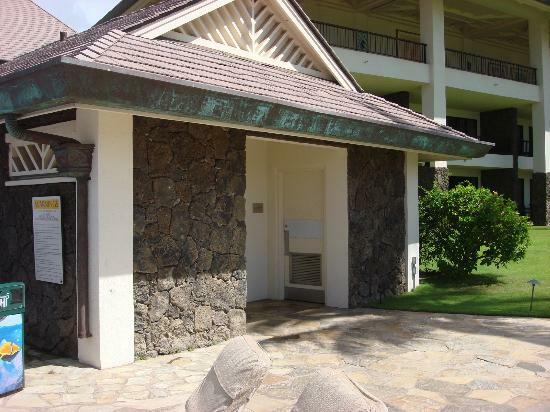 It is also really convenient that the bathroom by the pool with the lift is wheelchair accessible. This resort has a beach wheelchair on-site and the staff is more than happy to help you get in and out of it and across the sand to the water. They enthusiastically pushed my husband to the water’s edge and came back to get him when the tide got a bit high for his liking! The Sheraton is located on the beautiful Black Rock, which is known for its world-class snorkelling. We didn’t try any water sports, but the staff at the hotel was keen to take my husband out snorkelling if he wanted to go. I really regret not doing this as it is supposed to be amazing. There is a nightly cliff diving ceremony on Black Rock that is quite something to watch. When you are staying at the Sheraton, you can view the entire thing from the comfort of your lounge chair by the pool (which is where this picture was taken from). The gym is wheelchair accessible, the tennis courts are accessible and although we didn’t use the spa, we did walk into it to take a look around and it appeared to be wheelchair accessible. The room we stayed in was completely wheelchair accessible with two balconies looking out onto the courtyard/pool/ocean. Our room was classified as a “partial ocean view” which had a lovely view of the ocean. The room was very spacious with lots of room to move around. The bed was comfortable and there was a large flat-screen TV and mini-fridge. 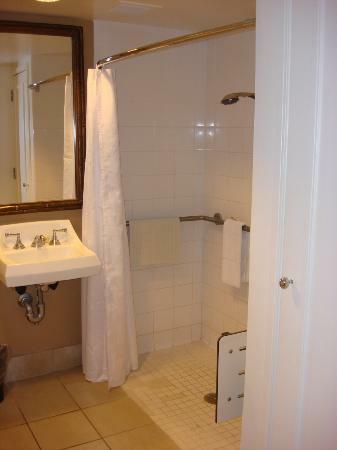 The bathroom was equipped with a wheel-under sink and a wheel-in shower with a built-in shower bench. There were also grab bars behind and beside the toilet. 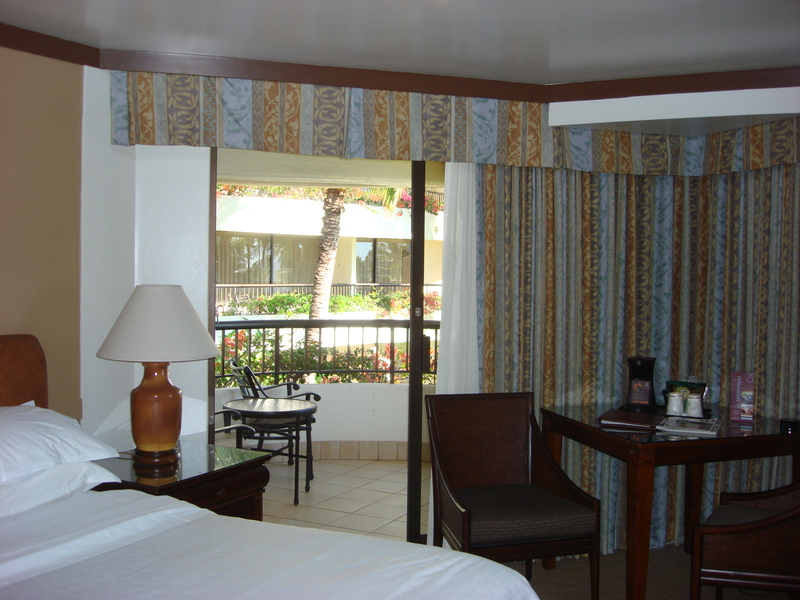 The Sheraton is located at the end of the Ka’anapali Beach strip and it seemed to have a quieter, older crowd. 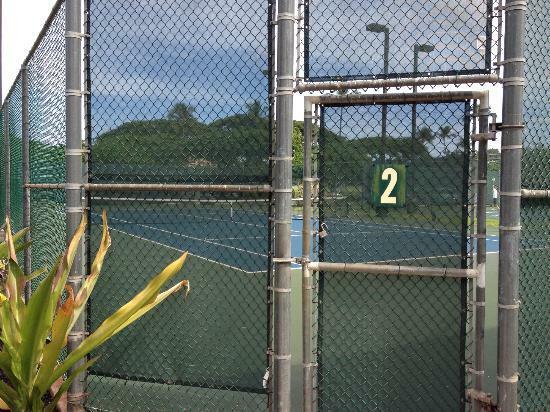 There is a cement path that goes all the way down Ka’anapali Beach and we walked it/wheeled it several times. There are lots of great restaurants worth trying along the way. Whalers Village is a short walk down the beach and it is also completely wheelchair accessible. Whalers Village has shops, a small food court and an interesting whaling museum that is worth checking out. 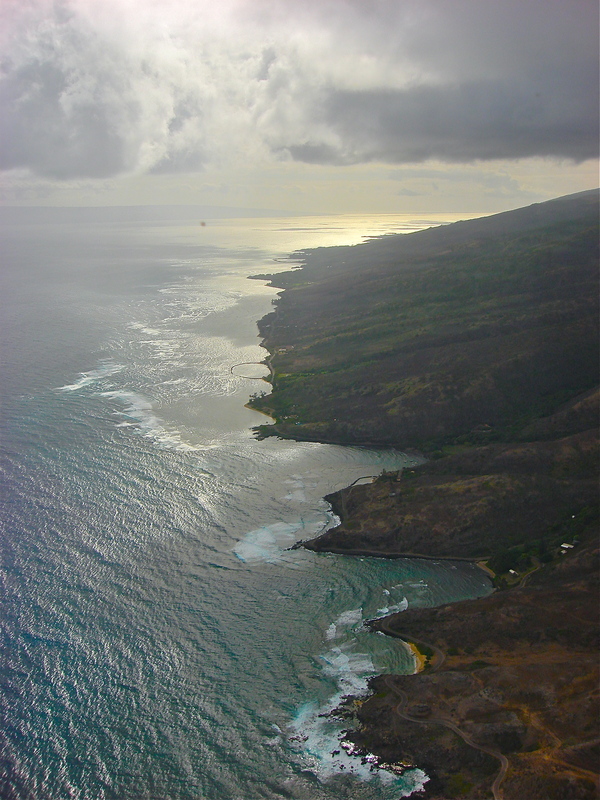 We took a helicopter tour of the island of Maui while we were there. 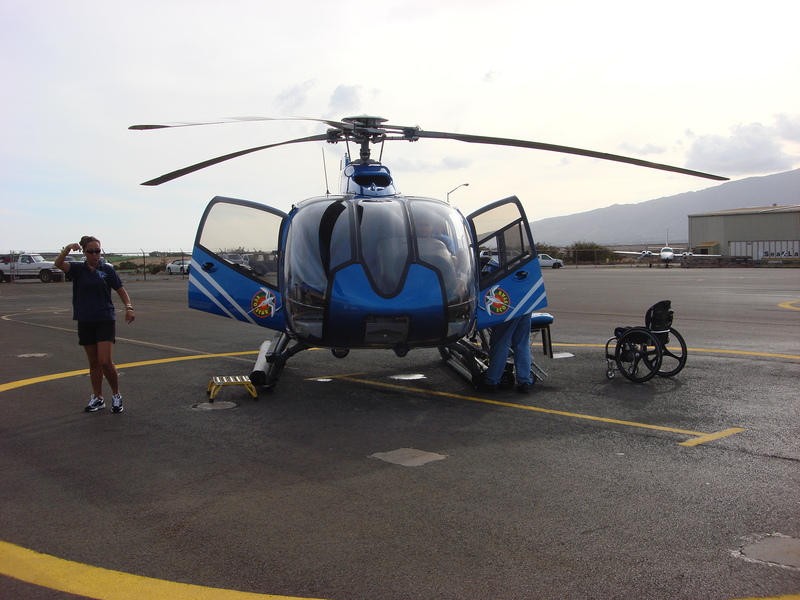 Blue Hawaiian Helicopters has a wheelchair lift that will allow you to get in and out of the helicopter with ease. 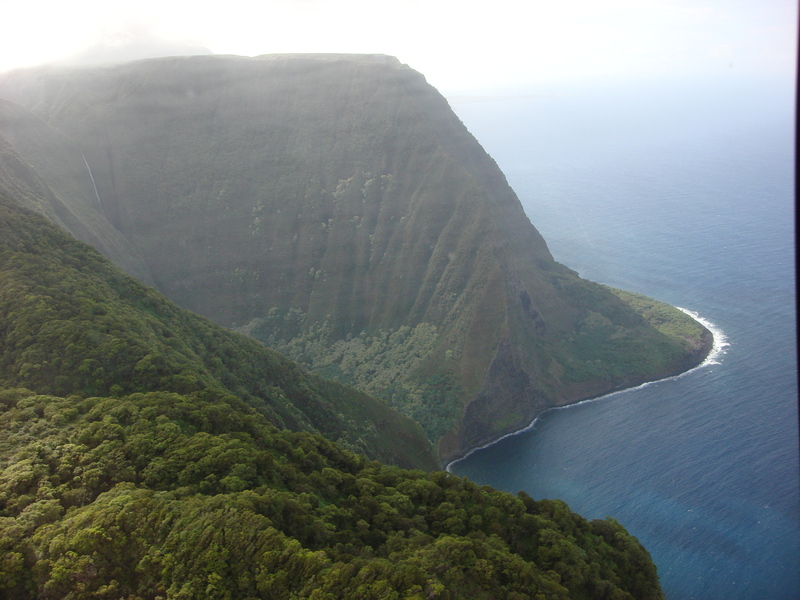 It was a once in a lifetime opportunity to see the beautiful island of Maui from the sky. If you are considering going to Front Street, GO! There’s so much to see and you will have no trouble getting around in a wheelchair. We had a fantastic time walking/wheeling around this area, visiting the art galleries and the shops. 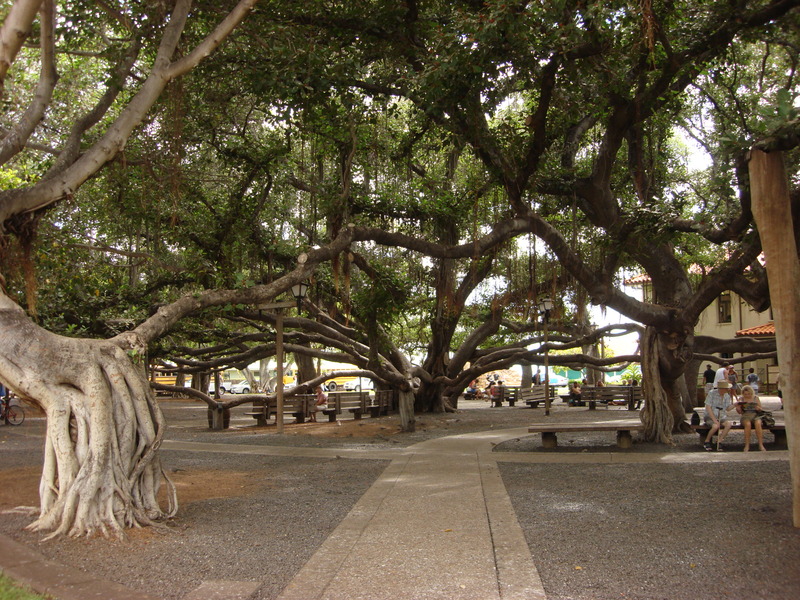 The largest Banyan Tree in the United States is located at the end of Front Street and it is definitely worth seeing. You may have some trouble finding a wheelchair accessible washroom on Front Street, but ask around. We finally found one in the old courthouse behind the Banyan Tree. Travel Tip – Prior to travelling, we arranged for a rental car to be available for us at the airport in Maui and when we inquired about hand controls, they told us they would install them in it for free. Even though my husband only drove once while we were there, it was worth it to have them installed so that we would have the option. The main downside to this resort was that the wireless internet coverage was spotty, but I understand they were installing wireless in every room the week after we left. I sure hope they did as I spent a few nights reaching over the balcony trying to get a better connection. The restaurant at the hotel, Black Rock Steak & Seafood, is quite pricey (although most restaurants in Maui are), so we drove to Safeway for groceries and filled the fridge in our room with food for the week. 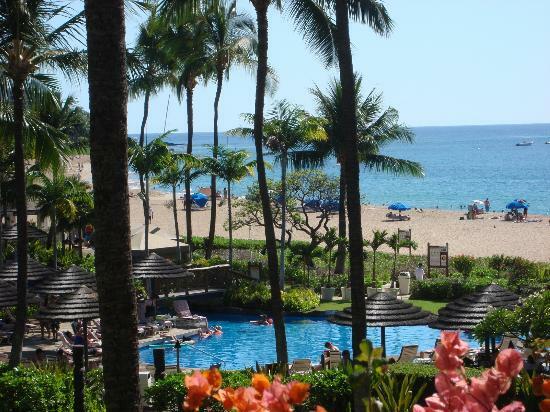 If you’re in a wheelchair and you are considering Ka’anapali Beach in Maui, you really can’t go wrong with the Sheraton. It is pretty tough to find a place with a pool lift and a beach chair and this place has both and staff that is nice enough to help you with whatever you need. This resort is quite peaceful (maybe due to its location) and it is not overrun with kids like some of the other hotels on this strip. 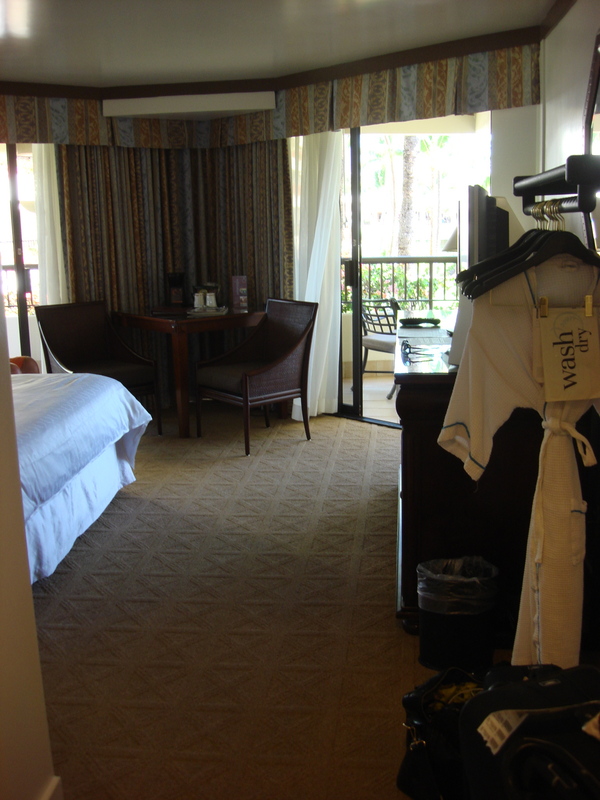 While we were there, we toured all of the hotels on the Ka’anapali Beach strip and we both felt that if we had it to do over again, we would stay at the Sheraton. 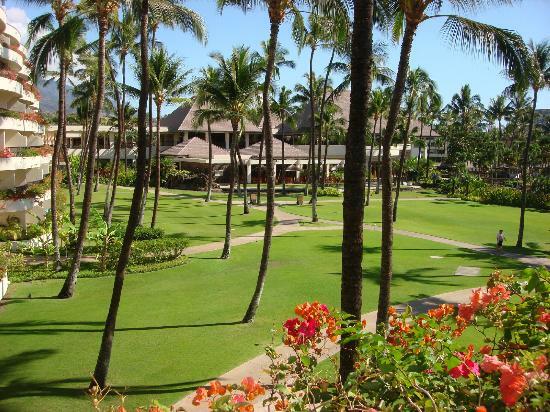 It is a large, beautiful resort with a great beach and it is absolutely perfect for wheelchair accessibility. 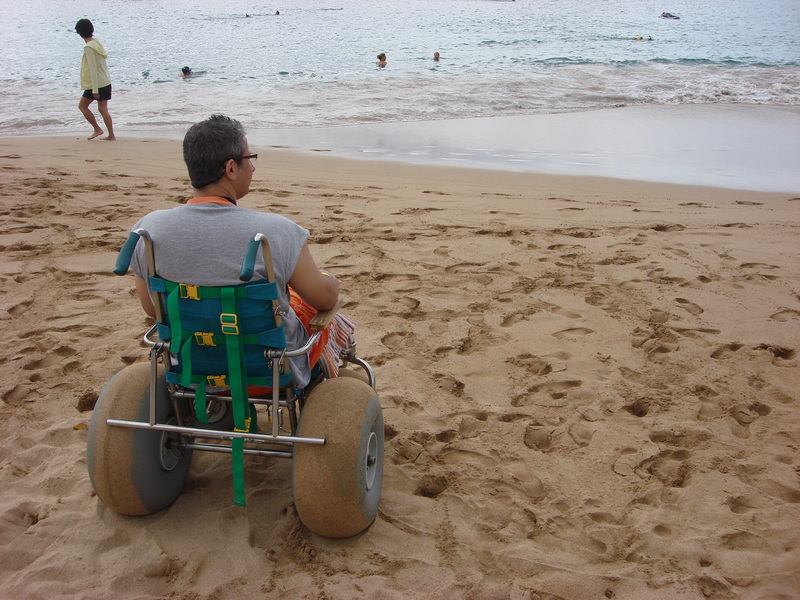 This entry was posted in Hawaii, Maui, United States and tagged accessibility, accessible, beach, beach chair, disability, grab bars, hawaii, ka'anapali, manual wheelchair, maui, paraplegic, pool lift, special needs, spinal cord injury, travel, USA, vacation, wheel-in shower, wheel-under sink, wheelchair by papawheelieblog. Bookmark the permalink. Yeah, it really was. 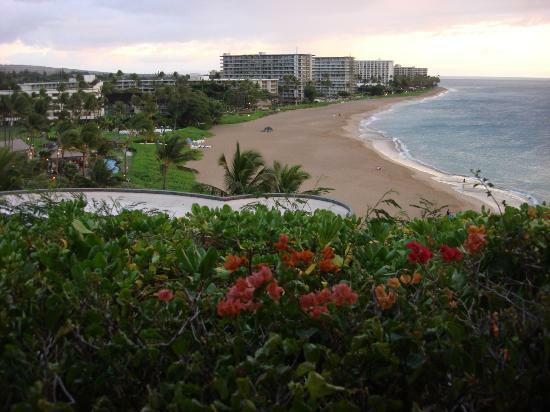 Maui is great in general but this resort was just perfect for us. I would go back there in a heartbeat. Thanks for reading!